With social media trends constantly popping up in this digital age, industry folks say the ability to jump on social media trends helps build brand affinity and better engage consumers. In a statement to A+M, Ogilvy Malaysia’s managing partner, Nizwani Shahar, said it is important for brands to remain strategic and creative to build brand equity through the #10YearChallenge. “This is the perfect time for brands to convey their brand identity or positioning by tapping into trending topics, which arguably not all brands can do well. I’ve seen some brands try to be relevant but when they all try do it without any creative thinking, it starts to look all too similar and monotonous,” Nizwani said. Meanwhile, Kenny Yap, general manager of Socialyse, said the challenge allows brands to communicate consistency, quality and customer satisfaction when comparing the differences from 2009 and 2019. Brands are also able to show how they have leveraged on technology to improve on their products and services. 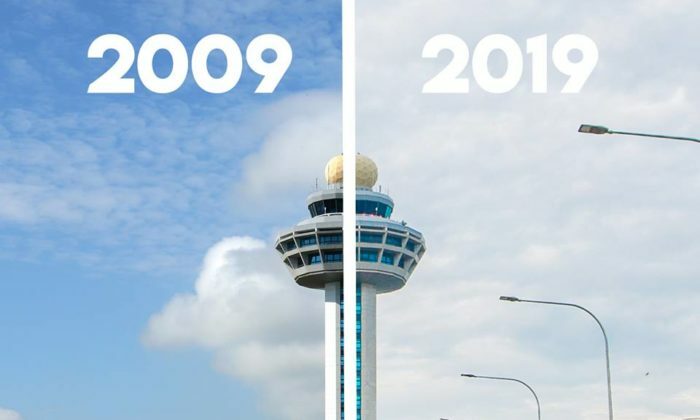 On such example is Singapore Changi Airport which showed in a Facebook post that while its command tower has remained the same over the years, the surroundings have urbanised with the new Jewel and Crown Plaza hotel. Cycle & Carriage took a notch further in the 10-year challenge as it celebrates its 120th anniversary this year. Trend jacking: A quick win? Jeffrey Lim, general manager at Carbon Interactive Singapore, said that in addition to strengthening their branding with trend jacking, brands also get free publicity through increased visibility among consumers and those outside the brand’s target audience. This helps the brand prove that it is relevant among consumers and joining in on the latest trending conversations. “Branding is about communicating and connecting with the customers and making them feel part of the brand. Humanising a brand or behaving in a more human way for a brand is essential to build brand affinity or engagement. It’s always better to buy from a friend than a non-living object,” he added. While trendjacking can be seen as a “quick win” for brands looking to speak the language of particular audiences, Tim Sharp, regional head of integrated strategy at APD said it can have the opposite effect when overdone. He advised brands to contribute to the conversation rather than adding to the clutter. “Focus first on the organisation. Are we prepared to mobilise quickly for a crisis as well as a trend)? From there, think about what we can contributeAs Marie Kondo might say, ‘Does our branded Facebook post spark joy? '” Sharp said. Agreeing with Sharp is Freda Kwok, strategist at Germs, who said while riding on social media trends allows brands to be seen as relevant and relatable, there needs to be a review of topics that are complementary to the brand personality. “Brands should not jump on every trending bandwagon. Research on the origins of the trend is also important to avoid misaligned associations,” Kwok said. Also weighing in on the conversation is Campbell Cannon, managing partner, Ogilvy Malaysia who stressed that the relevancy of such opportunities is important. “It is critical to put a unique spin on the content as opposed to ‘vacuously’ mirroring the trend,” he said. "The new font has lost the dynamism of the initial visual identity that customers have grown accustomed and have an emotional atta..
Total industry growth is projected at a measly 2.1%, revised down from last year's 3.0%, according to PwC's latest study, while sm.. While numerous companies were listed in the Paradise Papers, Apple seems to be taking the brunt of the internet's outrage. To make.. This marks the company’s entry into mCommerce. ..